I’ve decided that it’s time for me to get back into reading. I have a Kindle which is great for my daily commute, but with the weather getting better you just can’t beat sitting in the park with a really good book. Books can be expensive to buy, and once you’ve read them there really isn’t much use for them (unless you want to read it over and over again). So, save a bit of money and make sure your old books go to a good home by trying a book swapping website. BookMooch is a website that lets you swap books with other readers all over the world. The site is free to join and free to use; you only have to pay for the postage of your book. BookMooch runs on a points based system – you have to have points in order to receive books. To start using BookMooch you need to register 10 books that you would like to swap with other users – you will receive one tenth of a point per book. Every time you give away a book, you will receive one point; every time you receive a book, it will cost you one point. BookMooch works with Amazon so if there is a book that you would rather buy all you need to do is follow the link provided. Buying books this way keeps BookMooch free! TitleTrader works in the same way that BookMooch does except that the points are called credits. The biggest difference is that you can swap CDs, DVDs and Games as well. To register the books that you want to give away, you just need to input the ISBN number – this makes the process a lot less time consuming. As soon as a user has received an item from you, you can request a credit – this will allow you to start receiving books. Can I get bonus credits? Yes! TitleTrader gives users the chance to leave feedback when they have swapped items. The first time you receive positive feedback you will be able to receive 3 items for free. There is also an option to buy credits if you can’t wait to earn them. 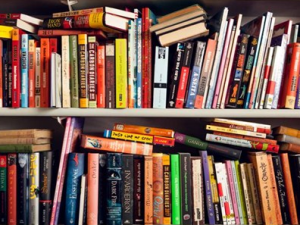 ReadItSwapIt is a book swapping site only for users in the UK. Like the others it is free to use, you only have to pay for postage, but the main difference is that you can only swap with users who want to swap with you. How do I swap books with someone? The process is simple – but the more books you have to give away the better. Search through the library and choose the book that you would like to receive. The owner of the book will be notified and given the chance to look at the books you have. If they agree to a swap then you will be emailed the postal address. For me, this would be by number one choice of website as you are only sending books within the UK. ReadItSwapIt claims to have over 300,000 books in its library so you should be able to find something you like! If you have a pile of old books waiting for a new home, and you would like to tick off some books on your own reading list then register with a book swapping website. 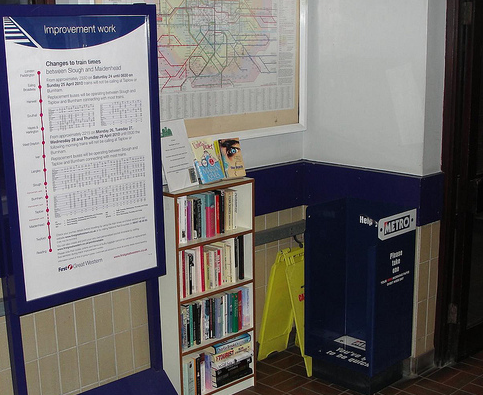 Or, head to West Ealing station and swap your books there! You may also want to check How to Attend the UK’s Best Music Festivals for Free.